I’m so glad I began this blog for my Fundamentals of Digital and Online Media assignment. Through networking on WordPress, Pinterest, and Twitter, I’ve gained some wonderful followers and experiences. I’ve always enjoyed blogging and working with social media, and, being a PR major, I definitely will use these tools in my future career. I found networking with other WordPress blogs and utilizing hashtags on Twitter to be most successful for increasing traffic to my blog. Storify also proved to be successful in drawing in readers when I chose the option to notify those that were mentioned in my story. While I enjoyed working on my Pinterest account, the result wasn’t quite as successful. Overall, I really enjoyed this class blogging experience, but I also look forward to continuing my adventures! My followers can look forward to more cake pop stories and less posts about other things like some of the earlier posts I made to fulfill some class assignment requirements. 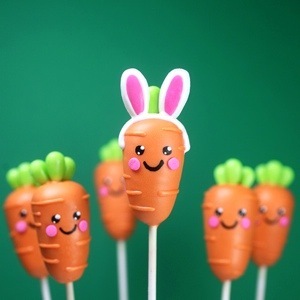 Be prepared to see more fun creations like these Easter basket cake pops I made last weekend! HERE COMES PETER COTTONTAIL, CAKE-POPPIN’ DOWN THE BUNNY TRAIL! Check out my Storify here! 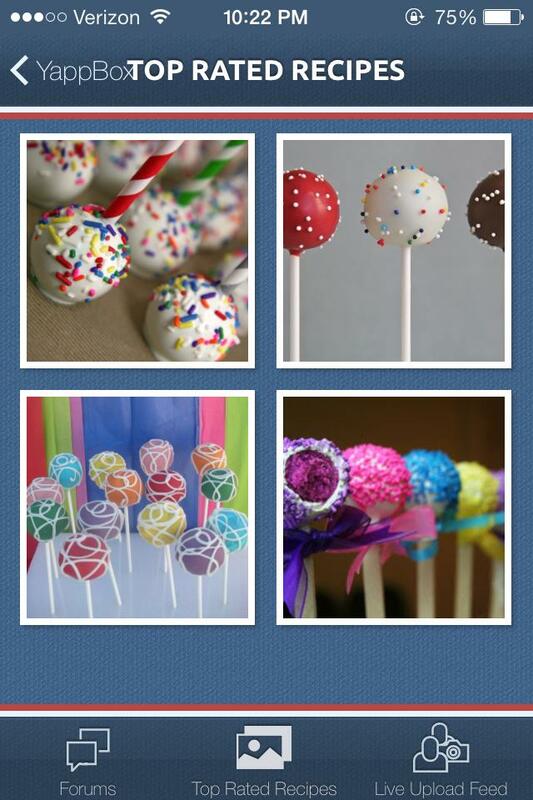 Fellow cake pop lovers, enjoy this slideshow featuring a step-by-step guide for today’s adventure! I used Duncan Hines German Chocolate Cake Mix and Betty Crocker Rich and Creamy Coconut Pecan Frosting to make these irresistible German Chocolate pops. Take a look at the slideshow to see how it’s done! My latest cake pop adventure featured a delicious combo: red velvet cake and buttercream icing. I decided to make a video to capture the experience, guest-starring Fleet Sweets baker Aly Yale! Enjoy! 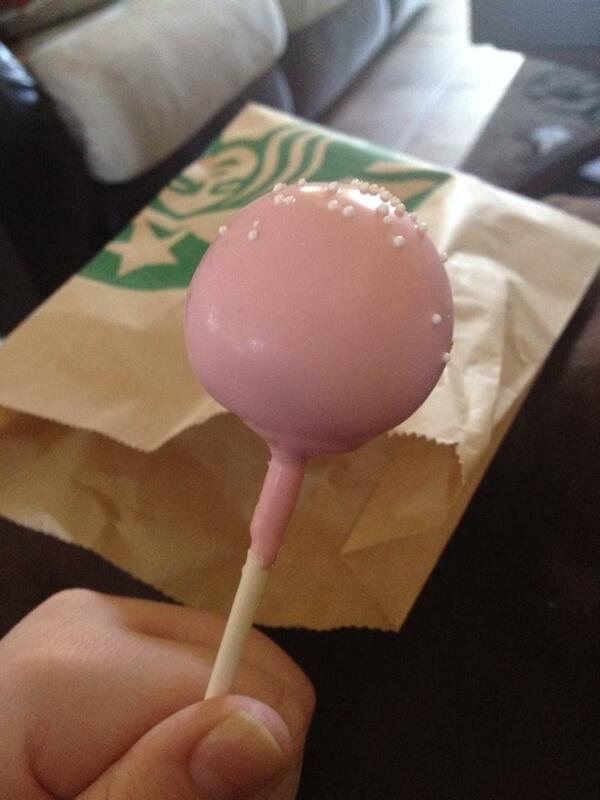 The first time I encountered a cake pop, I was as a teenager at Starbucks. My friends and I joked about the tiny, bite-sized cake on a stick. We decided to give them a try, regardless of the seemingly high price for such a small snack. We soon realized how the chain got away with charging customers so much for such a teeny dessert… The cake pops were amazing! While Starbucks has surely mastered the art of cake pop-ing, there is one other source for these delicious desserts. 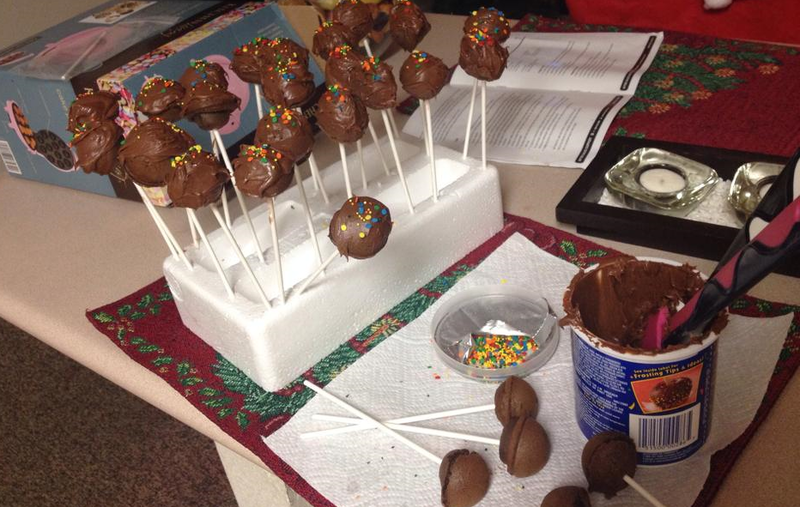 My sister Aly Yale, writer-turned-baker extraordinaire, is another source of inspiration for my cake pop adventures. She is the owner of her own bakery called Fleet Sweets. Not only does she make the best cupcakes, pies, cakes, cookies and breads… She can also delight your taste buds with her yummy cake pops! 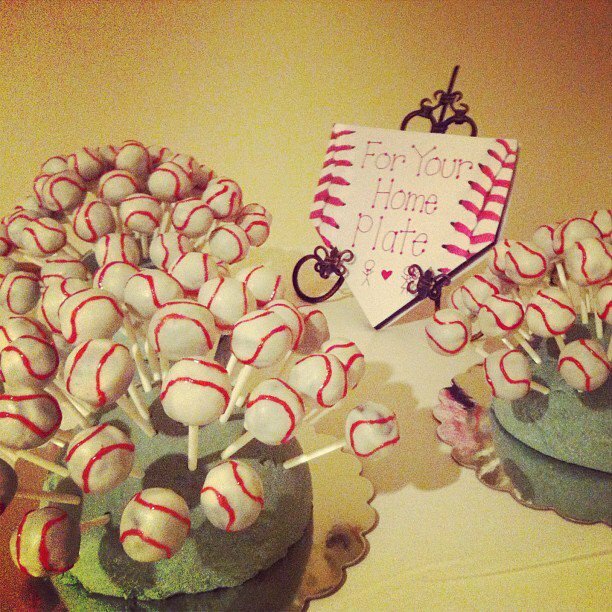 Baseball Cake Pops made by Fleet Sweets! 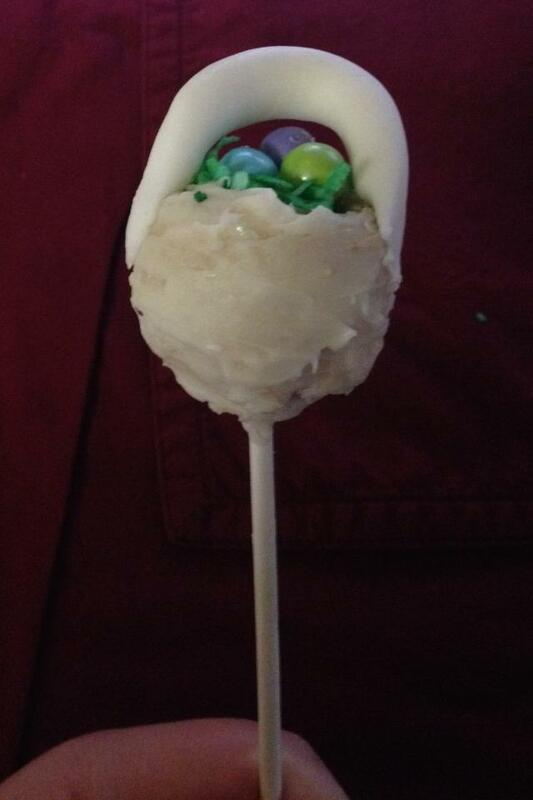 Maybe someday I’ll be able to create cake pops that are as amazing as the ones made at Starbucks and Fleet Sweets. I decided to create my first true cake pops. Sure, the brownie pops were nice, but I was ready for the real deal. I started by purchasing Betty Crocker Triple Chocolate Fudge cake mix and Pillsbury Confetti Funfetti Chocolate Fudge Frosting at Walmart. I specifically chose the Funfetti frosting, because the sprinkles come with the frosting! 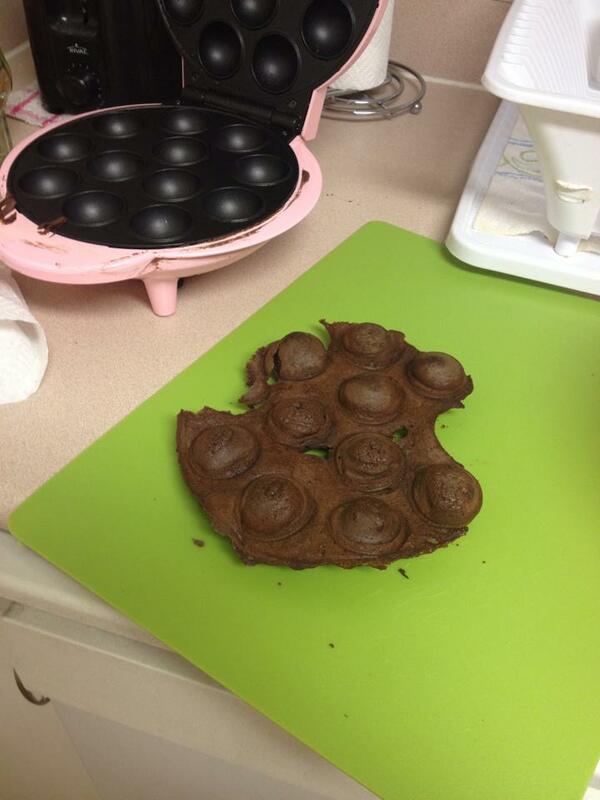 As I began my first batch of cake pops, I came across an issue. I realized that I needed to find a way to get the batter into the cake pop holes without spilling over onto the rest of the skillet. Upon digging through my kitchen cabinets, I discovered a measuring cup that had a spout that perfectly accomplished this task. The problem was solved, and I continued with much better results. 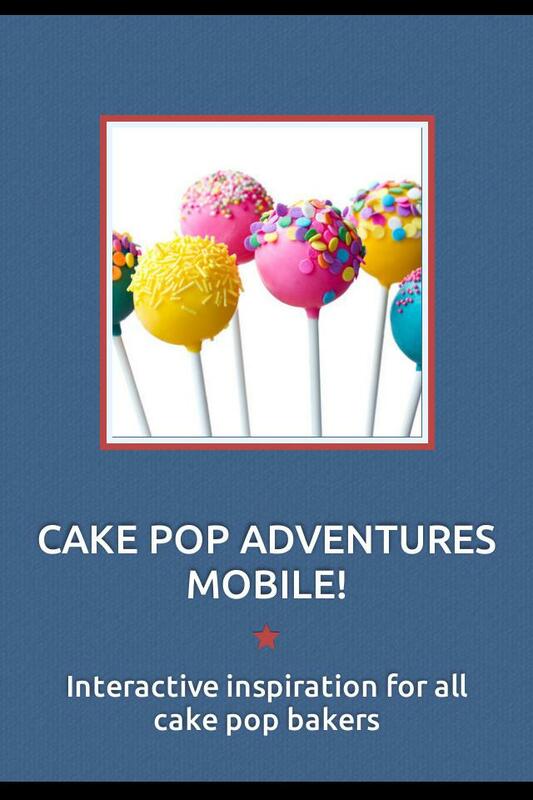 CAKE POP ADVENTURES GOES MOBILE! If I were to create an app associated with Cake Pop Adventures, it would be an interactive social app used to share ideas and recipes between users. It would help cake pop makers find the perfect recipe for an occasion or give them ideas about what cake pop experiment they want to try next. 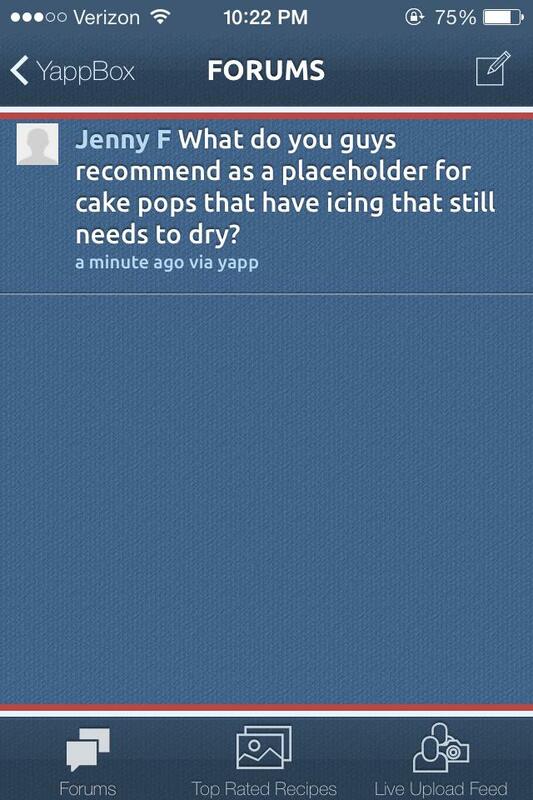 People may also wish to use it to utilize the forum tool to ask others the cake pop questions they’ve been dying to ask. I have designed this app using Yapp app creator. This would be the default home screen for the app. Here is an example of what the Forums page would look like. 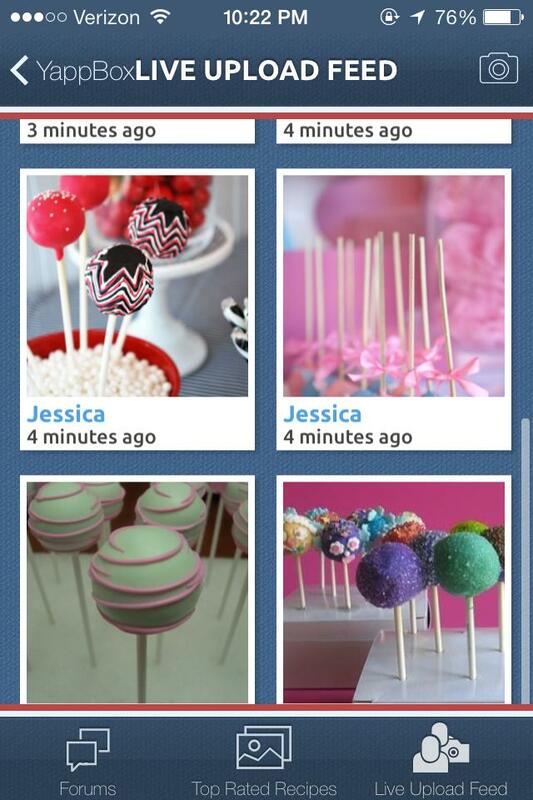 Users would be able to discuss various topics about cake pops. For example, a user may want advice for a specific recipe and design for a Halloween party. Below is how the Top Rated Recipes page might look. It would display the recipes that have received the highest ratings from users. The Live Upload Feed page could look like this. The Live Upload Feed page would be similar to Pinterest or a Facebook news feed. The page would be constantly updated as users upload new recipes and photos. I know personally, as an aspiring cake pop aficionado, that I would definitely download a Cake Pop Adventures app! If you've been looking for a blog about a girl and her cake pop maker, you've come to the right place!